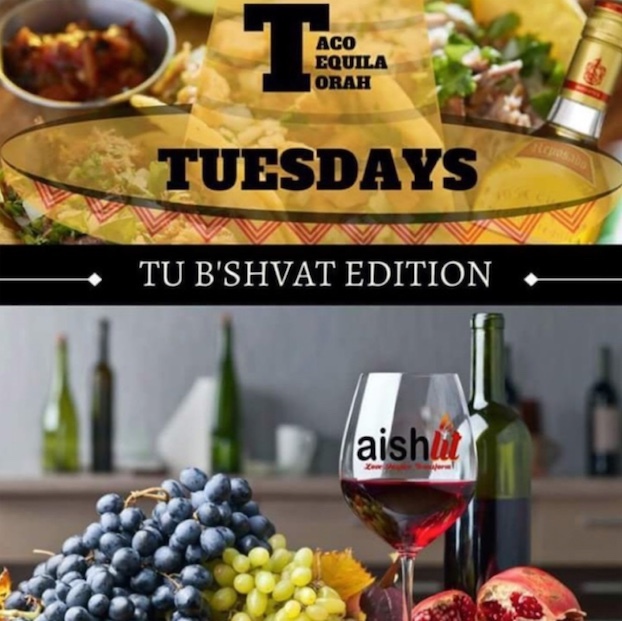 In this week of Taco, Tequila, and Torah Tuesdays the discussion of health continued, but with a little twist and connection to the holiday of Tu B’shvat (טו בשבט). The official topic, Torah and Mental Health. A healthy body and a healthy mind work together, that is why in Judaism when a person is sick we wish him Refoah Shelema (רפואה שלמה), which literally translates to full recovery, but means the recovery of the body, the mind, and the soul as a whole. In fact we pray for refuat hanefesh (רפואת הנפש), healing of the soul before refuat haguf (רפואת הגוף), healing of the body. Tu b’shvat is known as the new years of the trees, and today we celebrate it. The Torah says you cannot cut down trees for no reason. For example, if you are in a battle and fruit trees are blocking your path, you are not allowed to cut them down. The Torah says the reasons is because humans are like trees. In the book Devarim (דברים) it says, Kee ahadam etz a sada (כי האדם עץ השדה), a person is like a tree of a field. If you think of a tree you know that during the spring and summer the tree is covered in leaves and fruit. Come winter and the trees appear to have died. The tree loses its fruit and leaves because it is missing warmth and light. When someone is down know that there are missing two things, warmth – a healthier environment, and light – which here translates to torah wisdom/a changed perspective. When a tree loses its leaves and fruits is anybody worried? No, because there is hope/Emuna that comes spring and leaves and fruit will begin to grow again. So when a person loses everything it is important to think of the tree. King Solomon (שלמה המלך) says, a righteous person will fall 7 times but will get up. Rav hunter (1908-1980) says, truly wise people understand that falling down is the important component of becoming righteous, it is then that you learn, and that is the greatness. To read about famous people who failed before becoming famous click here. 2. Trees cannot survive in a bad environment. Humans are very similar. It is hard for humans to survive and prosper in a bad and negative environment. The best things for humans to do in that situation whether it be with friends or work is leave that environment. TV and horror movies specifically are horrible for mental health because they have a psychological effect on people. They give unnecessary fears that greatly effect every day lives. There is plenty of research that shows how TV has a negative effect on our brains. To read about them, click here, or here, or here. 3. Trees complement each other and even communicate to each other. It is a known we have a perfect balance of oxygen in the environment, if we had too much we could explode, if we had too little we would have to walk round with masks on. A substantial amount of oxygen comes from trees. Trees have a way to communicate with each other that allows them to know how much oxygen they have to produce oxygen. If a tree is cut down other trees know to work harder and produce enough oxygen to compensate for the fallen tree. Similarly, scientists have discovered that a tree that is infected with bugs has the ability to then signal the neighboring trees the exact type of reaction they can use to dispel the insects. As we grow up we tend to think more and more that people are against us and intend to harm us. Hat is a very unhealthy life style. We have a mitzvah and an obligation to give people the benefit of the doubt. Unless of course we know that person is evil, and then you should assume that person intentions are to harm you. There are many circumstances where people are just busy and that is why they did not answer a text. There are two other mitzvot and obligations related to being more positive with those around us. Firstly, one must not take revenge, meaning, doing the same or worse to someone because they did it to you. Second, one must not bear a grudge. 7. The roots are your actions, the tree and fruits are your wisdom. The ethics of our fathers explain tat a wise person with no actions is compared to a tree with many branches but with no roots. When a storm comes the tree will fall. But, a person that takes action even if not very wise, is compared to a tree with little branches but with strong roots. No storm can bring it down. Your actions are greater than your wisdom. They are greater than your thoughts. 10. You do not see the daily growth. Growth is very slow, but when you compare the development in the past few years you can notice the differences. To hear the full 52 minute class, click here. 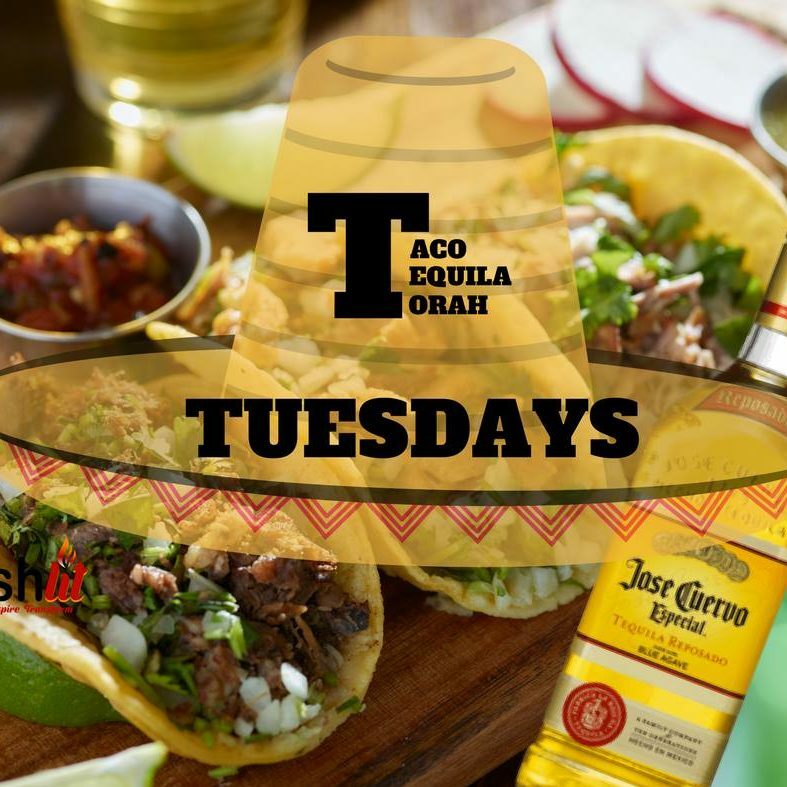 This entry was posted in Jewish Living, Taco, Tequila, and Torah Tuesdays and tagged health, jewish, jewish living, mental health, mind, taco, tequila. tuesdays, torah, trees, tu b'shvat, tu bishvat. Bookmark the permalink.